Hours: Mon-Thurs: Lunch 11 – 3:30 p.m., Dinner 4 – 9 p.m., Fri & Sat: Lunch 11 – 3:30 p.m., Dinner 4 – 10 p.m., Sun: Brunch 9 – 1 p.m., Lunch 2 – 4 p.m., Dinner 4 – 8 p.m.
What was once Dug’s Dive at the Small Boat Harbor is now Charlie’s Boat Yard at the newly named Safe Harbor Marina. 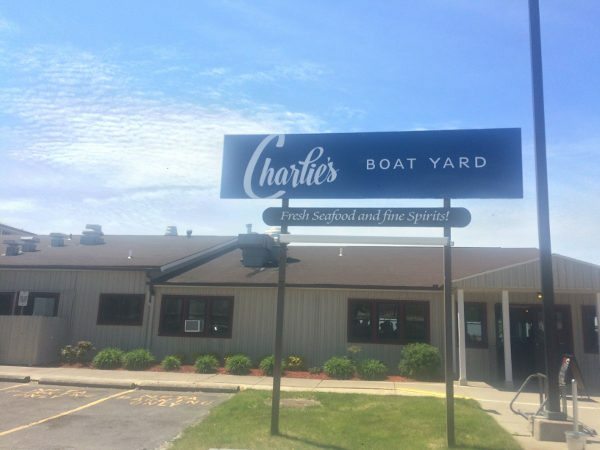 The place was spruced up and operations taken over by Charles (Chuck) Goodspeed of the Brick Oven Bistro in South Buffalo. 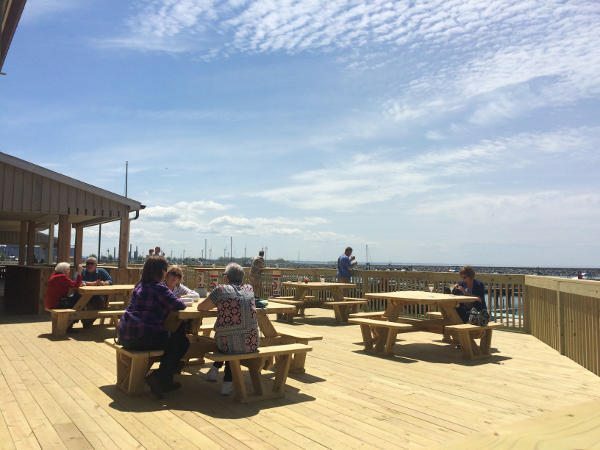 New this year is a larger deck with a bar – a much needed addition. 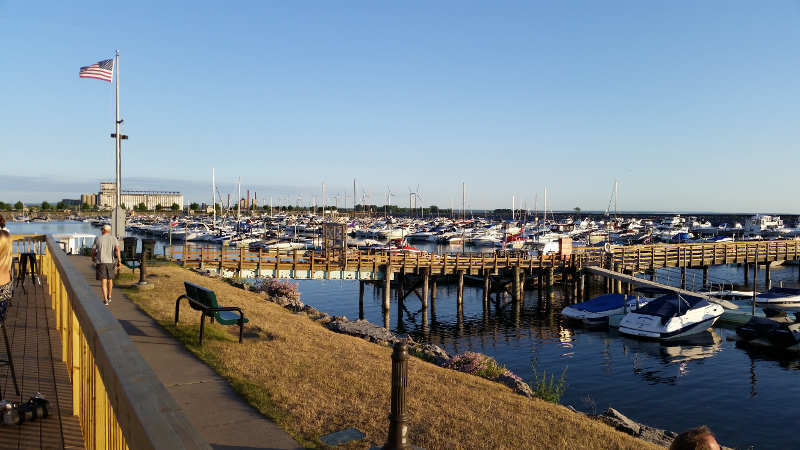 There are over 1000 boat slips so the place is rarely hurting for a eager patrons. They also have a Nick Charlap’s ice cream window. I’m tempted to say the place feels like you’re on vacation elsewhere, but awesome spots have become the new norm here in the Miami of the north. Booya! If you’re looking for peace and quiet you should visit on a rainy day. This place is loud and busy pretty much all day long, and for good reason. 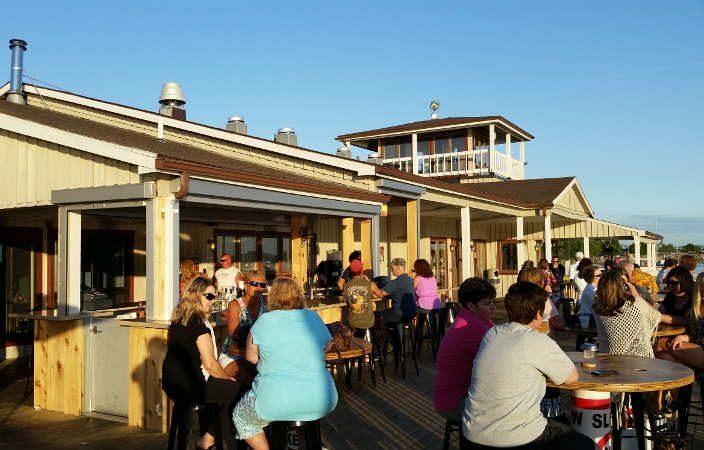 The food is far superior to what you might expect where crowds are dependent on the weather, high rent views, and a built-in clientele of boaters. 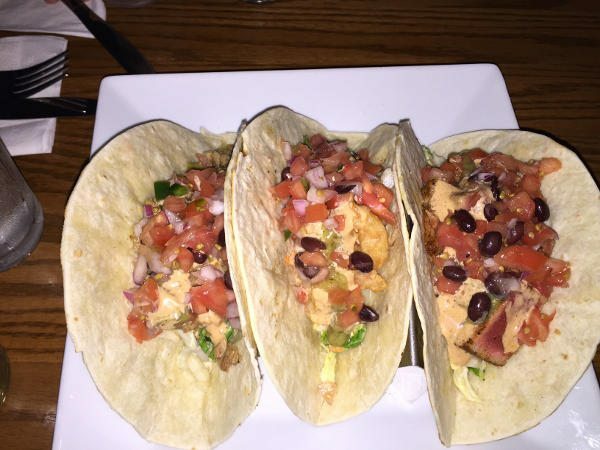 Overall the food was excellent, the portions large and the prices reasonable. Charlie – what a guy! We stopped on a busy weeknight. Even at 8:00 we had to wait a few minutes. Plan on the wait, grab a drink, and enjoy the view. Where would you rather spend a few minutes hanging. 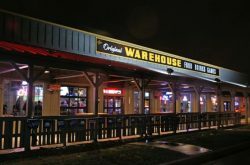 The main room has maybe 20 standard tables, a few tall boys, and includes the bar where a few people were eating. The look is nautical casual. 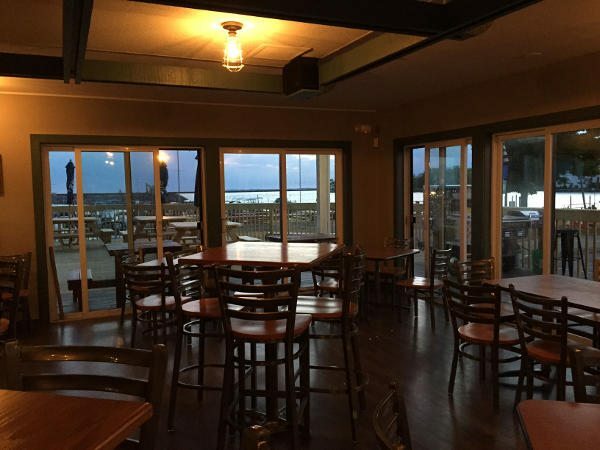 As mentioned above they have a spacious new deck with a bar, tall boys, and picnic tables. 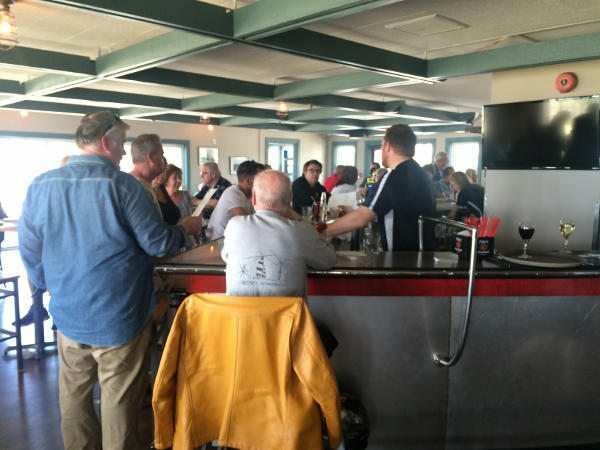 As of now they are not serving food on the deck – just drinks. They do have take out service (hint, hint). Of course we got all three. These were robust and three would serve as a fine meal. Although the fillings were similar the perfectly cooked proteins gave them a distinct flavor that was much appreciated. Very nice! These too were a nice size portion with plenty of crab meat and tasty filling, I suspect a little pepper and a sumptuous remoulade. Apple Walnut Salad – poached apples, mixed greens, crumbly blue cheese, roasted red peppers, and walnuts- $8. 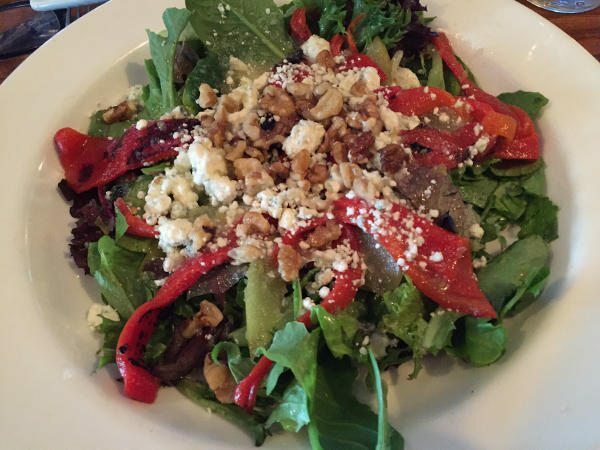 The roasted red peppers were a dominant feature in the large salad that gave it a nice edge and paired well with the walnut and blue cheese. This sounds pretty ordinary, but a good piece of haddock properly cooked on a fine bun with a yummy house-made sauce can be magical – particularly in a setting like this. 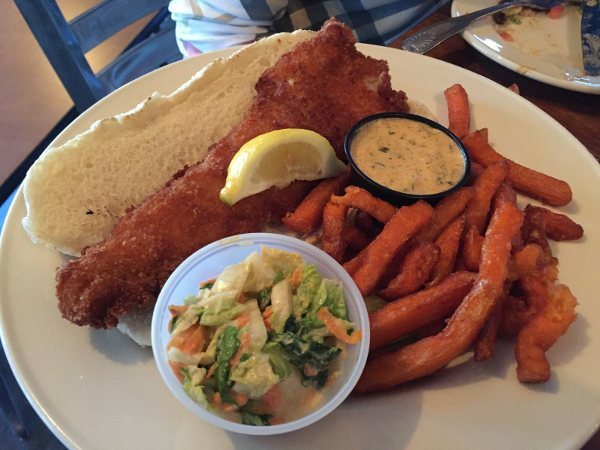 A waterfront restaurant without a first-rate fish sandwich might as well be a bowling alley in the burbs. Bravo Chef! We substituted the fries with sweet potato fries with a honey butter drizzle. Yum. 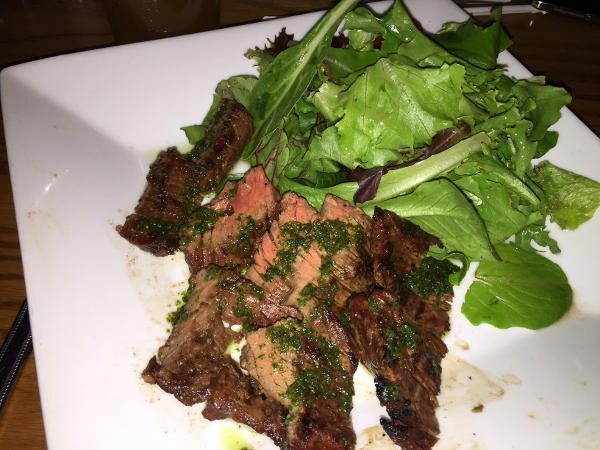 Perfectly cooked with a light chimichurri, you can’t beat a good shirt. 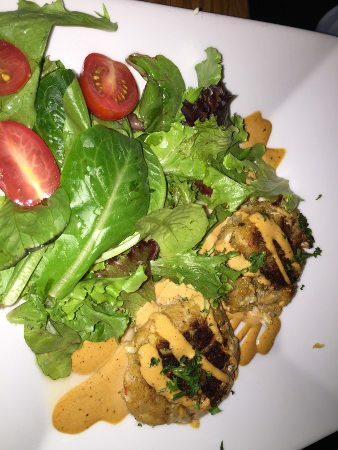 This comes with a side of greens and no starch. If you’re the type who likes a little starch with your meat (I am) you’ll want to add a side.